All Witches are aware of the power of moon phases and they have been using them since the old time to provide them with guidance, courage, luck, success and of course to heighten the power of their spellwork. The moon is the closest heavenly body in our sky and has great influence on our life. If you are a practitioner of witchcraft, timing your magic with the moon phases will give your spells added power. There are 8 main moon phases, each phase having its own power and special energies. Certain spells can become void or become empowered, depending on when they are cast according to the moon phases, therefore you must make certain you are casting the correct spell under the correct moon phase. Living by the moon’s cycles can help us to feel happier, healthier and more energetic. The key is to always work with nature, never against it, that is a battle you cannot win. Most witches follow the 5 main phases of the moon, new, waxing, waning and dark moon, however more advanced students use all the moon phases, including, new moon, crescent, first quarter, gibbous, full, waning gibbous, third quarter and waning crescent. There are also the special moon phases, dark moon, blue moon and the lunar eclipse. In general, each moon phase is symbolic to what kind of magic you should be practicing, the waxing period, at the beginning of the lunar cycle, when the moon appears to grow from new to full, should be used for positive magic, or magic that brings new things into your life, whereas the last half of the lunar cycle, the waning period, should be used to remove or banish unwanted things from your life. In between you have the dark moon, the time of greatest power for banishing or negative magic, and the full moon, the time of greatest power of positive magic. The moon is one of the oldest symbols for the goddess, representing the feminine aspects of divinity, as opposed to the Sun which represents the masculine. As the moon travels through the sky and through her phases, it is further symbolic of the woman’s phases through her life. It takes about 28 days for the moon to go through a full lunar cycle which also effects the female’s fertility cycle. Add to that the sheer beauty of the moon itself, giving light to the darkest night, it becomes even easier to understand the veneration witches have always had for the moon. To celebrate the moon phases Witches covens will often come together to work magic and to commune with the goddess under her divine light. These meetings are known as Esbats. Below we will go into more depth of each moon phase and the magic to work under that phase. The new moon appears when the moon is lined up between the earth and the sun, and is lit only by earthshine. This is a time of initiation, so we use this phase to execute a project, to launch a business, or to gain publicity. New moons are also the perfect time to increase cash flow, take new business opportunities, travel and love. The last lunar phase is over, we cannot go back and change the past, we can only focus on the present and our future goals. Let go of anything holding you back and make room in your life for new ventures. This phase is about self, so we must focus inwards and take the necessary steps to fulfill our goals. The new moon is the best time for curses, banishing, deconstructive magic, divination and any kind of magic for new projects or ventures. Rising Time: Rises at dawn. Setting Time: Sets at sunset. Time: From the new moon’s appearance until 3 1/2 days after. 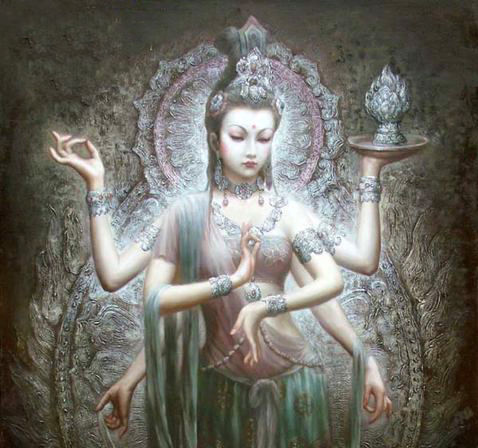 Goddess Energy: Goddesses of growth. Magic: Health, divination, beauty, self-improvement, love, business, deconstructive magic and curses. The waxing Crescent phase is the next phase after the new moon, when the moon moves east away from the sun and appears to grow fatter with each passing night. Use this time to focus on your intentions, write them down clearly and succinctly, and read them daily. Once you make your intentions known, it is time to send them out into the universe and into the world, don’t sit back, you may need to take action to brings things about. Focus on your intentions and prepare for the next step of your plan. During this time the moon’s power and energy are growing and so are yours, draw upon the lunar energies and reap all of her benefits. This phase of the moon is the best time for attraction magick or spells which draw on positive energy, other good spells are protection magick, healing, attraction, Self-improvement, psychic work, inner beauty, wealth, success, friendship and luck. Rising Time: Rises at mid-morning. Setting Time: Sets after sunset. Time: Moon is 3 1/2 to 7 days after new moon. Purpose: The movement of the thing. Rune: Inguz for focus, Berkana for beginnings. Magick: Attraction spells, animal magic, inner beauty, friendships, business, change, emotions, protection, healing, psychic work, wealth, success and luck. The First Quarter phase, half the moon is now illuminated and is one quarter of the way through the lunar month. This is a time for pushing forward and facing obstacles head on, do not let anything in your way and do not give up. be strong. Unlike the Waxing Crescent, which is best for going within and bringing things out, this is the best time for magic that attempts to draw things outside of yourself to you. Meditate on your intentions, focus on what is important to you and keep working to attain your goals. We are now getting closer to the full moon and receiving all she has to offer. This part of the moon cycle is when the sun and the moon square each other and the two celestial bodies form a 90-degree angle. This allows you to clearly see all issues which have arisen and enables you to adjust your plans accordingly. Use this phase for spells to attract things that you want in your life, such as money, success, friends or lovers. Other magick to perform is creative magic, divination, motivation, growing, strength, money and success. Rising Time: Moon rises at noon. Setting Time: Sets at midnight. Time: Moon is 7-10 1/2 days after new moon. Purpose: The shape of the thing. Runes: Uruz for strength, Elhaz for luck, Jera for improvement. Magic: Luck, motivation, friendships, love, health, protection, divination, money and success. The Waxing Gibbous is the growth phase. As the moon continues to grow, more than half of the moon is lit and it forms into a gibbous shape. This is the phase right before the full moon. This is a time of high energy, things should feel like they are coming together, take action and go after your desires with your whole heart. Trust in the moon’s energy to bear the fruits of your labor. The perfect outcome for your set of circumstances is coming your way. Although things may begin to shine, this a period of patience, tie up loose ends, streamline and focus on developing what you have. The Waxing Gibbous is still a time for constructive magick, best used towards nurturing that which you have already been working for. If you are feeling low on energy, harness the Moon’s energy to increase your power and confidence. The most auspicious time for magick spells during this Moon phase is at 10 or 11 at night. Call upon the night Goddesses to aid you in your workings. Magic suitable for this moon phase are, growth magic, health, attraction, success and motivation. Rising Time: Moon rises in mid-afternoon. Setting Time: Sets around 3 am. Time: Moon is 10 1/2 -14 days after new moon. Runes: Ansuz for eloquence, Wunjo for success, Daguz for enlightenment. Magic: Peace, Harmony, Health, attraction, success, growth and motivation. The full moon phase appears when the Earth is caught between the moon and the sun, the moon is now fully lit bearing the most powerful energies of the lunar cycle. This is a prime time to attract love, money and to perform healing for emotional matters. The Full Moon is often seen by witches as “all purpose” all kinds of magic can be performed during this phase, whether it be constructive or destructive. Use this phase for banishing unwanted influences in your life, create protection magic, perform divination and cleanse your tools and crystals. The full moon is not for minor mundane tasks, it is a time reserved for those important things in your life that need major changes or a major boost. While you can cast spells for anything, utilize this particular energy for your priorities, the things that really matter in your life. During this moon phase we either celebrate success or accept that things did not turn out as planned. Regardless of the outcome, you have gained experience, accept the situation and move forward. Your intuition is very strong during the full moon phase so pay close attention to your thoughts, dreams and instincts. You are being guided by a higher power to a path that is better suited for you. Rising Time: Moon rises at sunset. Setting Time: Sets at dawn. Time: Moon is 14-17 1/2 days after the new moon. Purpose: Completion of a project. Magick: Beauty, health, fitness, healing, divination, change, dreams, love, banishing, romance, psychic work, money, clarity, motivation, protection and family. Waning Gibbous is the phase directly after the full moon., the moon’s shape is still gibbous but grows thinner each night, waning. 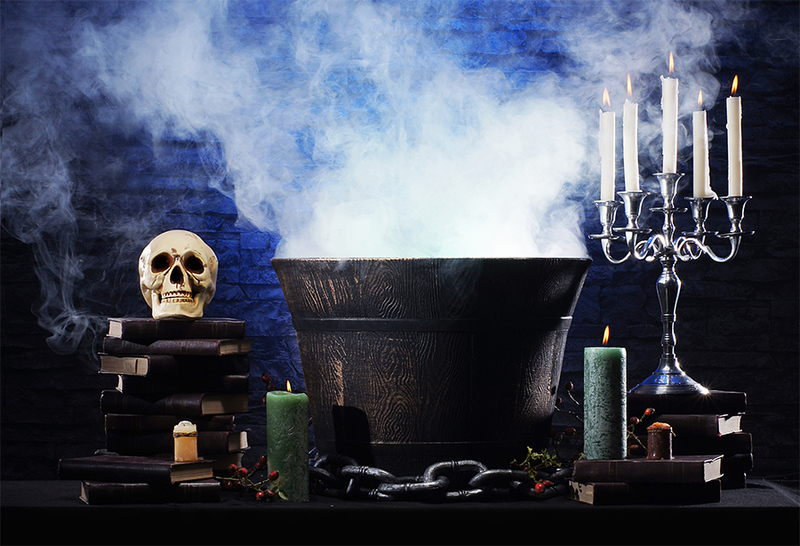 The moon’s waning energies repel rather than attract, so it is a good time to begin working on spells to remove things from your life and perform minor banishing spells. During this phase perform spells to end an unfulfilling relationship or an unsatisfying business venture. It is also a good time to clean and cleanse your home, your garden, personal places, personal objects, jewellery, and magical tools. It is essential to consider and reflect on whatever is blocking you from accomplishing your goals, pay close attention to any road blocks or energy leaks and let go of whatever is blocking you from drawing to you that which you desire. Turn inwards and think about your goals, where have your actions brought you? What has been affecting your life the most? Are you happy where you are? What changes to your life do you need to make? The moon’s light is beginning to fade away as she surrenders herself to the dark night. You can start to rest a little now. Moon Magick for the waning gibbous are cleansing spells, removing curses, undoing bindings, banishing, relinquishing, cleansing, cleaning, removing negativity and undoing curses. This is a good time for spells to bring things to their fruition. Time: Moon is 3 1/2-7 days after the full moon. Rune: Elhaz for protection, Thurisaz for destruction and defense. Tarot: The Tower for destruction. Magick: Emotions, addictions, divorce, cleansing, banishing, undoing bindings, undoing curses and protection. The third quarter moon is when one side is lit and the other side is in darkness. This is the time to leap over hurtles and deal with obstacles that are in your way. The timing of this moon phase offers you the appropriate energies to help you burst through these issues. Use the third quarter to make final payments, to resign from an unwanted job, to fire employees, throw out useless items, return possessions to their owner or to make an appointment with someone who can help you on your journey, such as a financial advisor. Listen closely for direction and guidance, It’s there for you! Continue working towards your goals, meditate and keep a dream journal. This is a good time to practice divination, try to see what the month ahead has in store for you. While the moon wanes, work magick to remove obstacles, push away troubles and banish anything that influences you in a negative way. Negative emotions, ailments, bad habits, diseases, addictions can all be let go with spells. Rising Time: Moon rises at midnight. setting Time: Sets at noon. Time: Moon is 7-10 1/2 days after the full moon. Goddess Name: The Morrigan’s Moon. Rune: Hagalaz, kenaz for banishing, Isa for binding, Naudhiz for turning. Magic: Health, Healing, banishing, protection, divorce, dreams, and endings. This is the phase right before the new moon. This lunar cycle is about to end and a new one is about to begin. The Waxing Crescent moon is sometimes called the “Balsamic” moon, a word that means a restorative time for healing. Our energy will be shifting from dynamic and outgoing to quiet and reflective. Use this moon phase to reflect back on the whole lunar cycle and consider what has come to pass. What has changed? What have you learned? What has not changed? Consider this and reorganize for the next new moon. As the Waning Crescent approaches the Dark Moon phase, banishing magic will be more powerful than any other time of the Waning phases. Clear your home, get rid of any anything that has been plaguing you. This is a good time to end relationships, friendships or anything that you wish to bring to a swift and benign end. Nurture yourself, meditate, recuperate and rest, use this time to focus within and recharge. This phase can be used to cast spells which involve removing negative influences, removing obstacles, change, divorce, protection, separation, attaining wisdom and getting rid of stalkers. Magick: Change, divorce, success, protection, separation, wisdom, removing obstacles and removing negativity. The dark moon is the last day of the lunar cycle, it happens on the night before the new moon and is associated with the dark aspect of the Goddess. This is a powerful time to do shadow work, destructive magic, curses, hexes, addictions, divorce, obstacles, separation, protection, stopping stalkers, binding and banishing. When it comes to destructive magic, it’s even more potent than the full moon. Channel the energies of the dark moon towards inner work, healing, cleansing and releasing. The Dark Moon is also a good time for soul-searching and to perform divination. 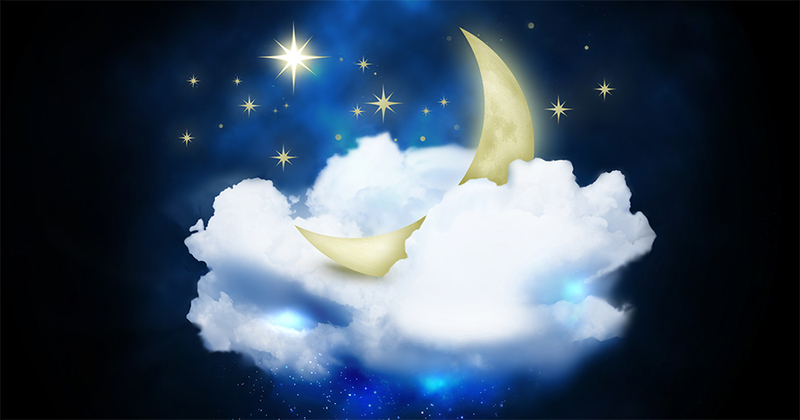 This is the eve of the new lunar cycle, rest, meditate and plan for the next cycle. When there are two full moons in the same month, the second one is called a blue moon, it is said that the blue moon is twice as powerful as the full moon. The blue moon only presents itself every 2.5 years, it falls in a different month each year. You must be careful what magick you practice during this time as the result may be far greater than anticipated. 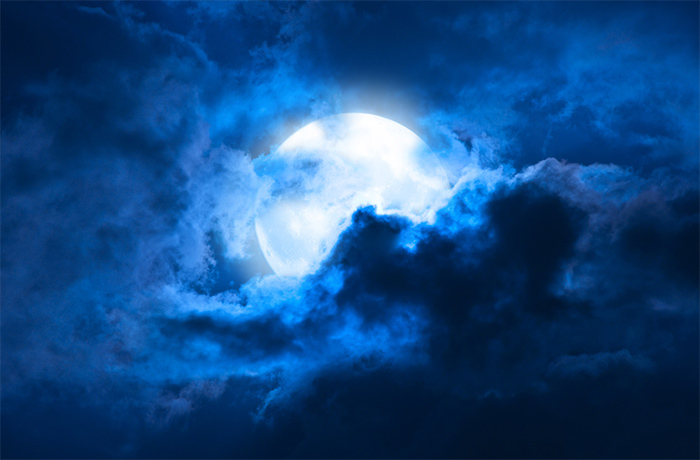 The blue moon is similar to Samhain, the time when the veil between spirit worlds is at its thinnest, this allows us to establish a clearer connection to the spirit world and the universe. During this time you will have heightened clarity and connection to the divine, your magical workings will be enhanced and psychic abilities will be more powerful. This is the perfect time to harness the moons powerful influential energy! Any rituals or spells performed during the Blue Moon will have long-term results, this is the ideal time to plant new seeds and ideas, especially if you are looking to have significant change in a specific area of your life. Blue Moons are also the ideal time for meditation, divination, truth seeking, love spells, banishing, wishes and protection spells. Lunar eclipses are a very rare magical event that should not be missed. A Lunar eclipse indicate a major shift is coming that will be out of your control but will lead you closer to your purpose. On average a Lunar Eclipse takes place nearly once a year. During a lunar eclipse the energies of the sun and moon connect and create a harmonious balance of male and female energy. This an extremely powerful, balanced combination of two opposite energies and is capable of bringing about real miracles. Use their energy to make big life decisions and bold moves. It is said that the lunar eclipse embodies the energies from every moon phase, as the eclipse begins with the full moon, then it wanes until it goes dark and then the new moon’s silver appears and the moon wanes to full again. Thus, you have the energies from each moon phase all at once, this makes the eclipse the perfect time for all kinds of magic. When working with the lunar eclipse, it is important to consider the timing, as it will display at different times based on your location. Check your local start and end times when planning your lunar ritual. A lunar eclipse does not have to be visible for you to work magic. Perform magic for relationships, money, love, wisdom, romance, protection, psychic work, healing and divination. Working with the moon phases gives you the opportunity to create powerful magick, all your spell casting will be intensified by the lunar energy. Knowing and utilizing the moon phases will enhance, not only your life but the lives of those you love. You can create beautiful rituals using crystals, candles and the moon. Bring more depth and joy to your life using this most powerful natural resource.